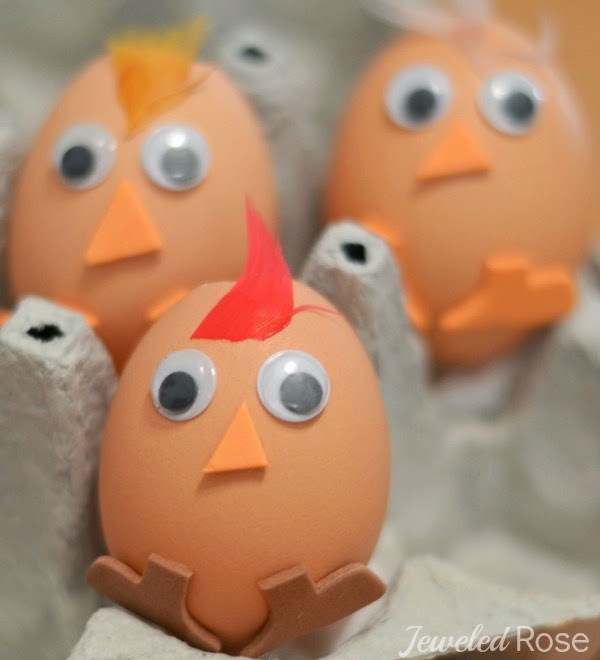 My family had so much fun with this simple turkey craft. 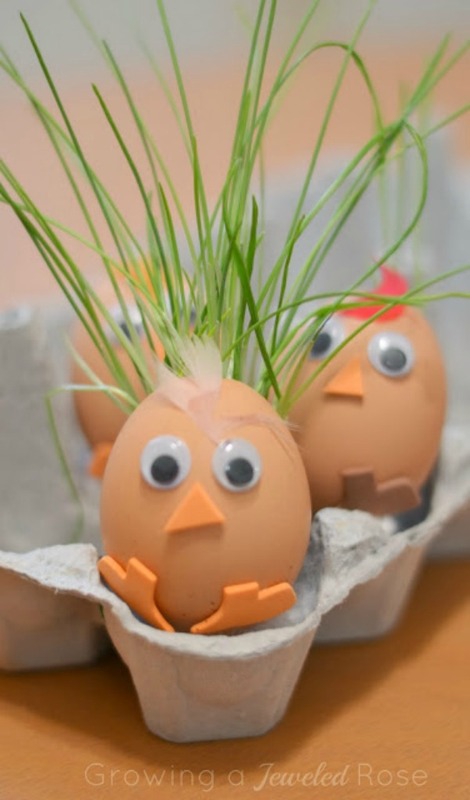 With these easy to make turkey planters kids can grow their own turkey feathers, and then they can cut & style them! How cute are these little turkey planters? They make me smile every time I see them, and Rosie and Jewel have delighted in checking their gobblers each morning to see how much their feathers have grown. 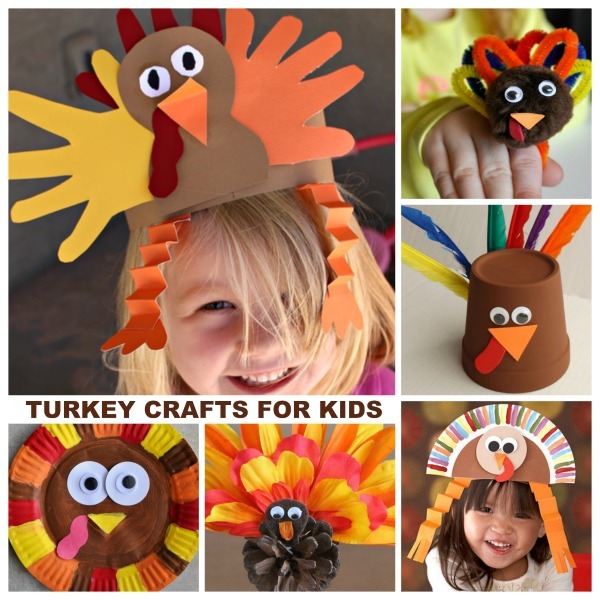 Making these adorable little turkeys is pretty easy, too! Are you ready to see how? You will also need water and a sunny window. 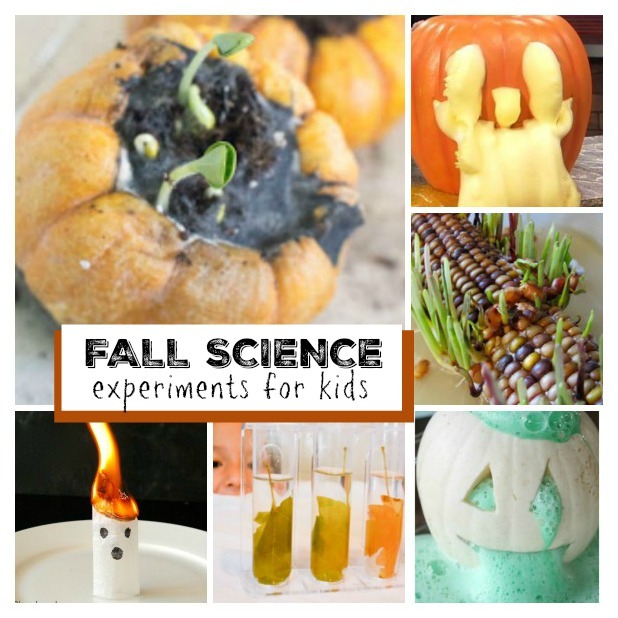 Start by hallowing out a few egg shells. This is very easy. All you have to do is take a butter knife and tap the top of an egg just hard enough to crack the surface. 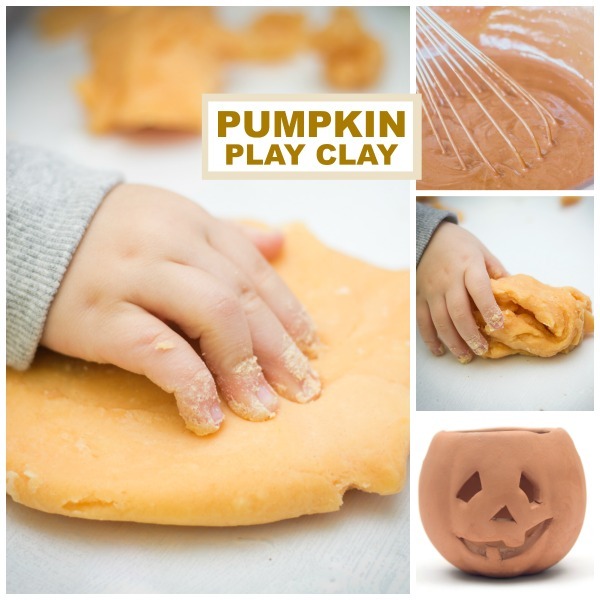 Then use your fingers to break away the desired amount of shell. 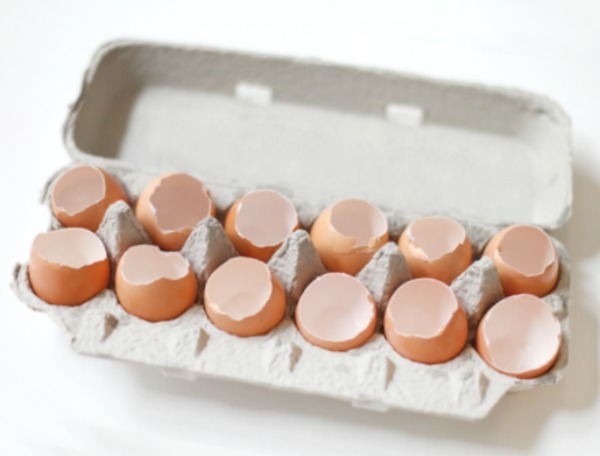 You can watch a video tutorial on how to hallow out eggshells here. Empty the inside of the egg(s) into a bowl. I saved our shells as I made breakfast one morning. Once the shells are emptied rinse them with hot water and antibacterial soap. 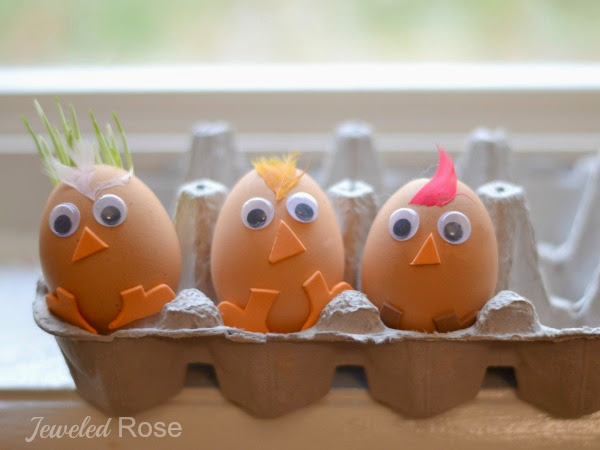 Once dry kids can decorate the front of the egg(s) to look like turkeys. 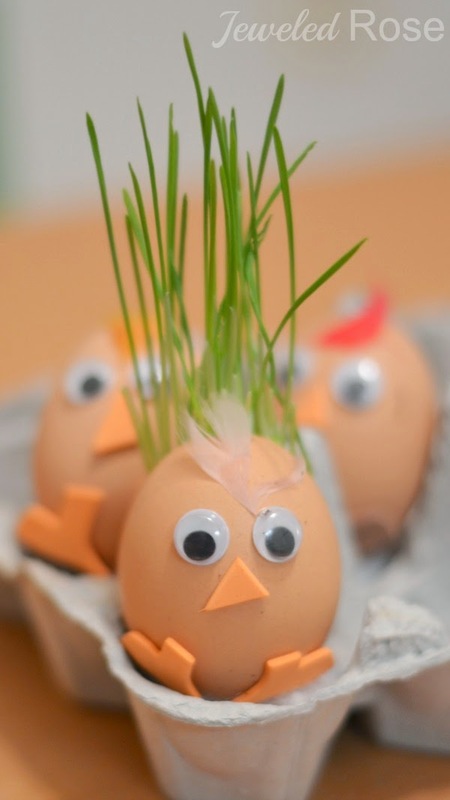 Once the glue is dry have kids add a little soil and wheat grass seeds to their turkeys. Top the seeds with more soil, and then water the gobbler. Place the gobblers in a sunny window if possible. 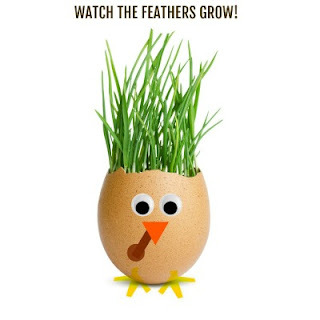 In just two days you will have "feathers" growing! After just four days our gobblers feathers were very long! And after just one week our turkeys feathers were in dire need of a cut! I gave my girls scissors, and they had a blast styling & cutting their turkey's feathers. 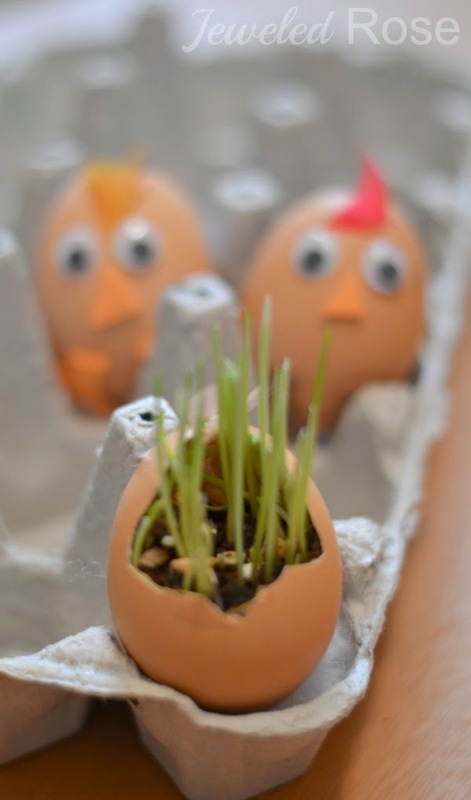 Wheat grass grows very fast, making it the perfect seed for fun kids activities like this one. We order our grass seeds on Amazon here. 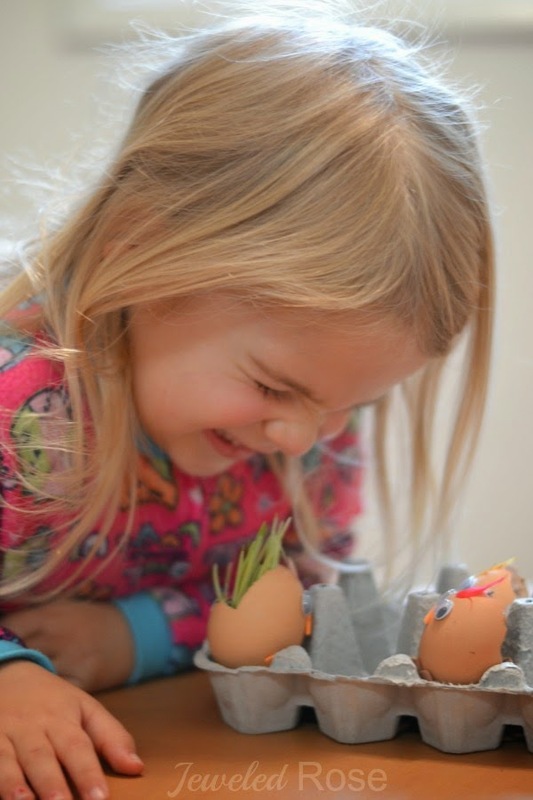 Rosie and Jewel loved this activity so much that we made another fun turkey plant. 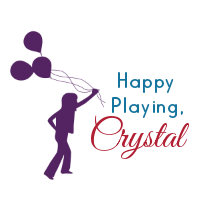 Stay tuned to see how they turned out.